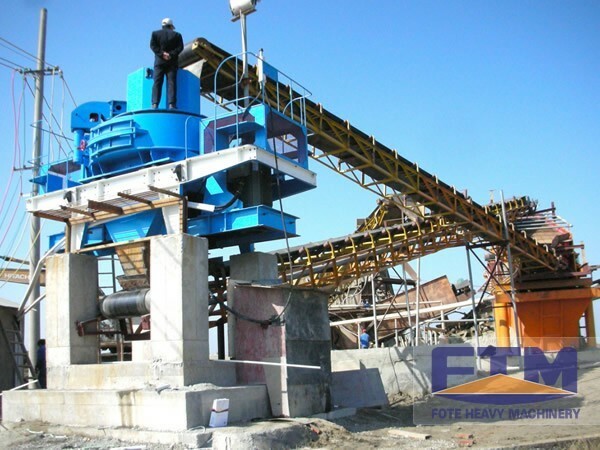 Sand making machine is the special equipment for the production of construction sand and stones. 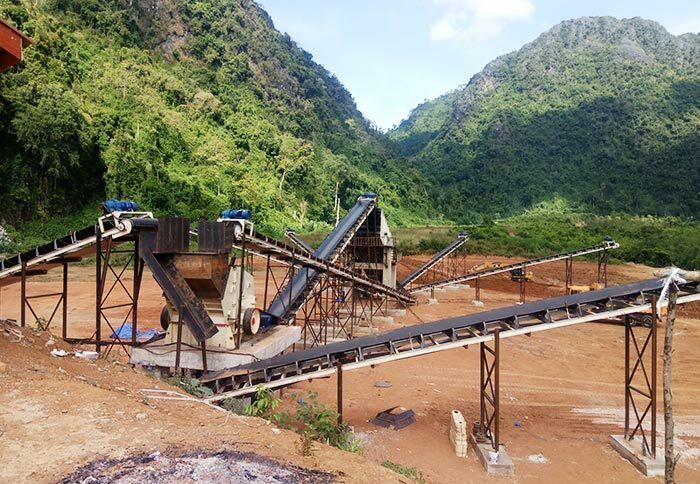 It can crush a variety of hard rock like granite, basalt, limestone, pebble, etc., metal and nonmetal ores into various sizes of construction sand and stones. The finished sand has uniform particle size and high compressive strength. 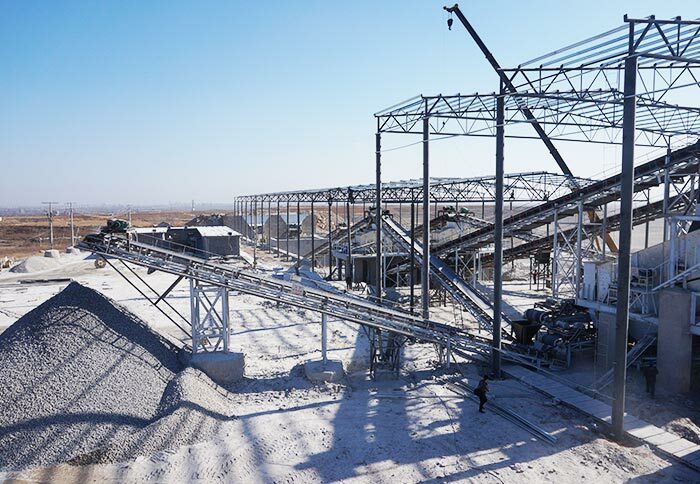 When compared with the natural sand, it can meet the high construction standard and improve the construction sand quality. Generally speaking, sand making machine can be also called sand maker and sand manufacturing machine. 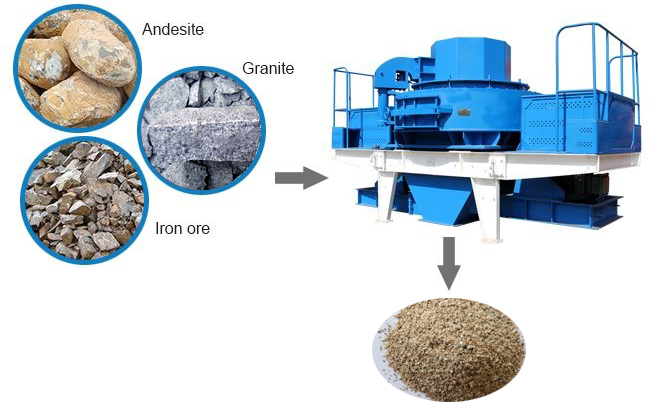 Sand maker machine is used for the crushing and plastic of soft, medium hard or super hard, which is widely applied to the fine crushing of granite, basalt, limestone, pebble, cement clinker, quartz, iron ore, bauxite and other minerals. At the same time, sand making machine is used for making artificial sand in highway, railway, water conservancy, airport, construction, cement, refractory, metallurgy and other industries. 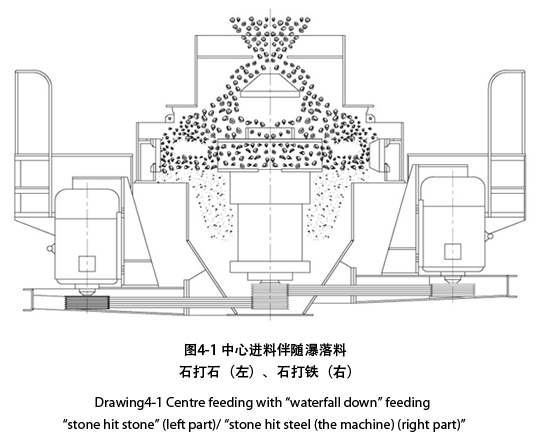 Material enter into crushers through feeding hopper(20)(see chart 3-1),fall on material-separating plate(19)via bulk material awl(21) and is divided into two parts by material-separating plate.one part enter into high speed running impeller(18) and is speed up quickly, then threw out from channel with high speed, and crushed with the other part materials falling around from material-separating plate, then impacted together on material liners in crushing cavity(4),they are incline-up rebounded and impacted on top crushing cavity, changing direction to be down running, while the series of material throw out from impeller channel, in this way, a stone is crushed after repeated striking, clashing and grinding. with gravity action, crushed material enters into lower cabinet cabinet from impact wear. 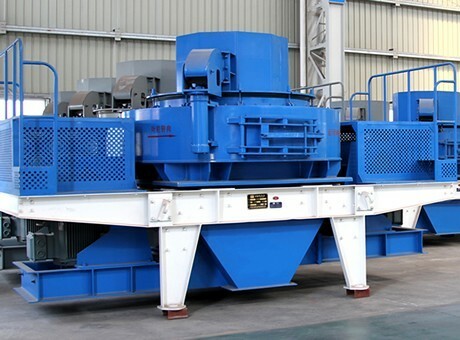 here is the characteristic: after getting power and throw out in impeller, the material is speed up by impeller, almost half particles impact and clash with falling material and liners, or finish crushing by mutual high running striking, it is "stone hit stone". 1. Simple and reasonable structure, low operation cost. 2. High crushing ratio, energy saving. 3. Fine and coarse grinding functions. 4. Less affected by the moisture content of materials; the moisture content is up to about 8%. 5. More suitable for crushing medium hard and super hard materials. 6. Excellent grain shape, cubic shape, extremely low flakiness content. 7. Suitable for the mass production with the processing capacity of 50-300 tons per hour. 8. The production cost of per ton sand is only 3/5 of the conventional product. 9. 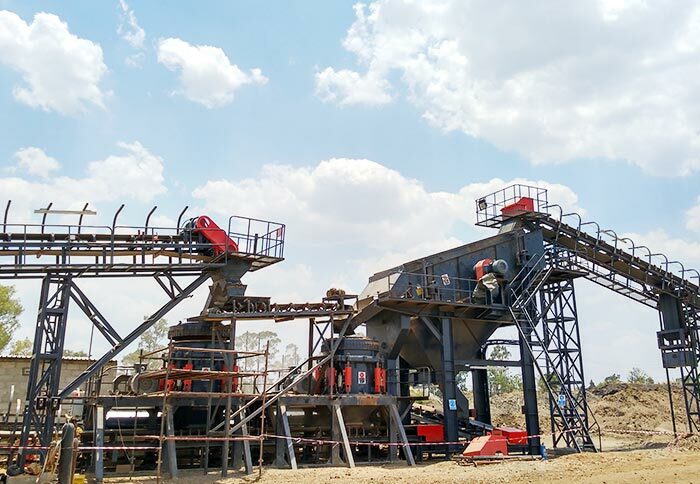 High degree of automation, low energy consumption, high crushing ratio. 10. Short investment recovery period, 4-5 months can recover the investment. 11. It has shaping function, and the finished product is in cubic shape. 12. Good finished product size, which is in accordance with national standard. 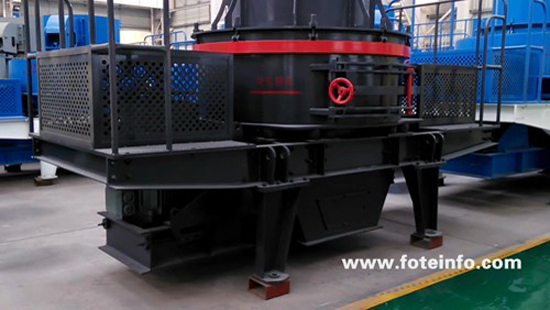 Fote Machinery is the specialized sand making machine manufacturer in China. 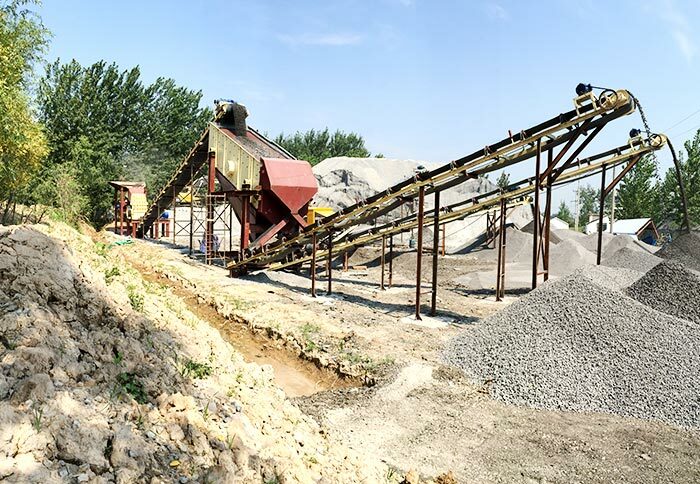 The sand making machine price of our company is reasonable, and we have complete sand maker models and thoughtful after-sales services, if you are interested, please contact us!